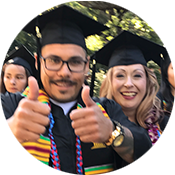 Gavilan College is dedicated to promoting a harmonious learning and social environment characterized by civility and mutual respect for all our students, staff and community. 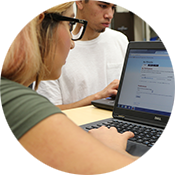 A student enrolling at Gavilan College assumes an obligation to uphold the Code of Conduct. The following standards are reasonable expectations of student behavior. Violations may result in discipline, including but not limited to removal, suspension or expulsion.. Causing, attempting to cause, or threatening to cause physical injury to another person. Possession, sale or otherwise furnishing any firearm, knife, explosive or other dangerous object, including but not limited to any facsimile firearm, knife or explosive, unless, in the case of possession of any object of this type, the student has obtained written permission to possess the item from a district employee, which is concurred in by the President of the College. The manufacture, possession, use, sale, offer to sell or furnishing, or being under the influence of, any controlled substance listed in Chapter 2 (commencing with Section 11053) of Division 10 of the California Health and Safety Code, an alcoholic beverage, or an intoxicant of any kind; or unlawful possession of, or offering, arranging or negotiating the sale of any drug paraphernalia, as defined in California Health and Safety Code Section 11014.5. Committing or attempting to commit robbery or extortion. Causing or attempting to cause damage to district property or to private property on campus. Stealing or attempting to steal district property or private property on campus, or knowingly receiving stolen district property or private property on campus. Willful or persistent smoking in any area where smoking has been prohibited by law or by regulation of the college or the District, including vaping. Committing sexual harassment as defined by law or by District policies and procedures. Engaging in harassing or discriminatory behavior based on disability, gender, gender identity, gender expression, nationality, race or ethnicity, religion, sexual orientation, or any other status protected by law. Engaging in intimidating conduct or bullying against another student through words or actions, including direct physical contact, verbal assaults, such as teasing or name-calling, social isolation or manipulation, and cyber bullying. Willful misconduct which results in injury or death to a student or to college personnel. Cutting, defacing, or other injury to any real or personal property owned by the District or on campus. Cheating, plagiarism (including plagiarism in a student publication), or engaging in other academic dishonesty. Unauthorized entry upon or use of college facilities. Lewd, indecent or obscene conduct on District-owned or controlled property, or at District-sponsored or supervised functions. Engaging in expression which is obscene; libelous or slanderous; or which so incites students as to create a clear and present danger of the commission of unlawful acts on college premises, or the violation of lawful District administrative procedures, or the substantial disruption of the orderly operation of the District. Persistent, serious misconduct where other means of correction have failed to bring about proper conduct. Unauthorized preparation, giving, selling, transfer, distribution, or publication, for any commercial purpose, of any contemporaneous recording of an academic presentation in a classroom or equivalent site of instruction, including but not limited to handwritten or typewritten class notes, except as permitted by any district policy or administrative procedure.